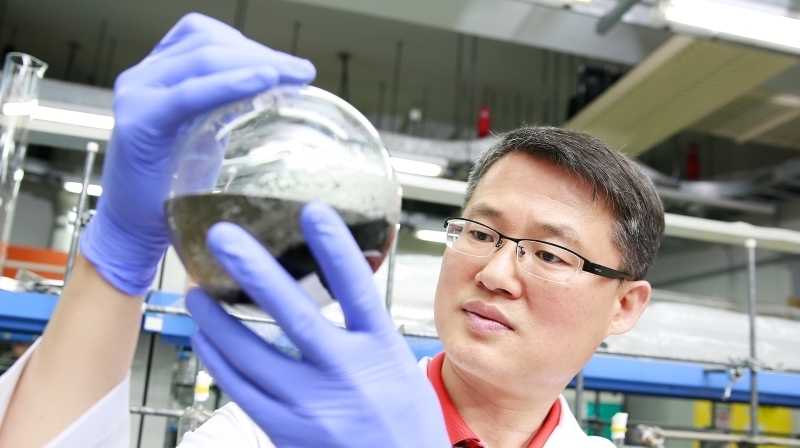 Prof. Jong-Beom Baek (School of Energy and Chemical Engineering) in his laboratory at UNIST. Professor Jong-Beom Baek has been selected as '2018 Nation's Top 14 Most Innovative R&D Projects'. Every year, the Korean Ministry of Science, ICT and Future Planning (MSIP) singles out a significant development or achievement as the National Research and Development Projects of the Year. The recent breakthrough by Professor Jong-Beom Baek (School of Energy and Chemical Engineering) and his team of a new mechanism that can produce heteroatom-doped 2D organic semiconductor materials has been selected for the 2016 Nation’s Top 14 Most Innovative R&D Projects by MSIP. Since 2006, MSIP has been nominating top 100 outstanding research achievements every year to inspire an interest of the general public in science and technology. For this year, out of 54,000 latest breaking government-funded R&D projects, the selection committee has shortened the list to a total of 110 candidates (100 Outstanding R&D Performances & 10 Outstanding Business Start-ups). Sifting through the top 110 R&D projects across the nation, the 14 most innovative research projects have been carefully chosen through the evaluation of the selection committee. The honorees of the top 14 R&D projects of 2016 have been announced on the afternoon of July 7, 2016 and a work by Professor Baek’s Development of Heteroatom-doped 2D Organic Semiconductor Materials was also included in the finalists. Professor Baek states, “I am deeply honored to be named among the National R&D Projects of 2016 by MSIP.” He continues by saying, “This breakthrough technology is expected to provide new insights into advanced materials, thereby contributing greatly to growing industries, including energy and semiconductors, as well as biology.